Barnaul with a population of 600 thousand (2002) is one of the older cities in Siberia. Originally chosen for its proximity to the mineral-rich Altai Mountains and its location on a major river, the site was founded by the wealthy Demidov family in 1730. 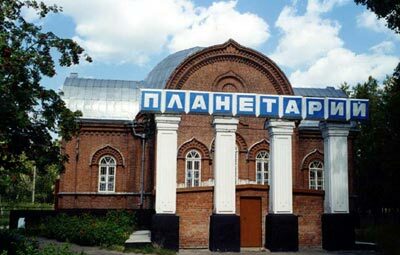 Now Barnaul is known as a Siberian scientific center. It boasts five universities, plus 35 libraries. It also has five theatres and three museums. The city's Museum of Local Lore was founded in 1823 and is one of the oldest museums in Siberia, displaying local artists' work as well as unique artifacts from the nearby Altai region and more. Geographical coordinates: 53’21 N, 83.45 E (190km southerly of Novosibirsk). Local time: GMT+6 hrs and GMT+7 hrs DST, Moscow+3 hrs. Sky: annually 49 fair weather, 186 – partially, 130 full cloudy days. The city center is situated within only 20 km from the central eclipse line of August, 1 2008 (line width is 249km). That’s why the Eclipse can be seen right in the city as well as Novosibirsk.